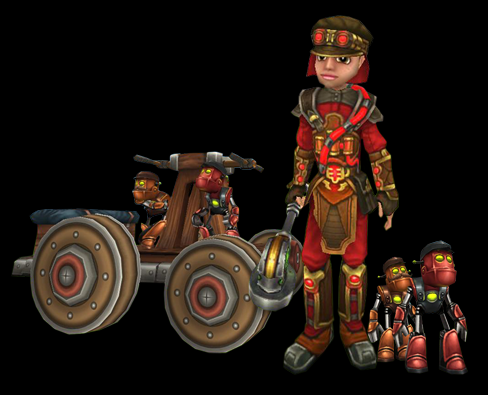 Paige's Page: Wizard101 Arcane Builder’s Bundle! Your Wizard101 Housing Dreams Have Come True!!! You can now build a castle!! 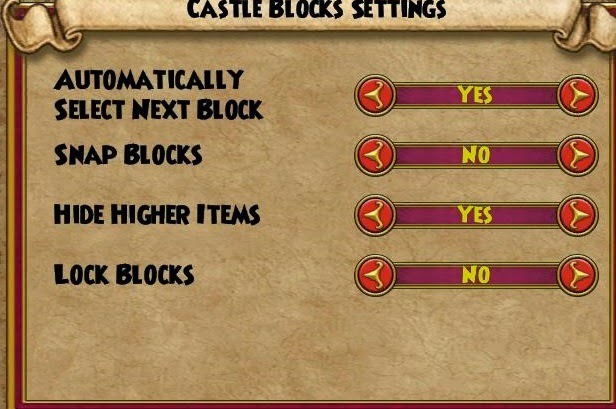 Automatically Select Next Block – After you place a castle block, if you have more of that same kind of block, you immediately start placing another one. Snap Blocks – Only allow placement of castle blocks in a grid formed by the nearest castle block of the kind you’re placing. Hide Higher Items – Hides all items above you and makes the ceiling of the level you’re on transparent. Lock Blocks – Prevents picking up or moving of any castle block in any house. I've had many people ask me how big the land areas are. The top image is from the outside and the bottom image is the inside. As you can tell these land spaces are huge. WOW Let the creativity begin! Great and informative post as per usual. Thank you. So to get different versions you have to purchase more than one? Also is the difference between them just times of day or they are different overall like the yard layout? Wow! This is just what I have been waiting for. I am so happy Kings Isle reads my posts and comments! I am ready to get creative! How many pieces come on one card? And I can make it look NOT like the photo they display? I am not sure I understand this. Look forward to more info. Ok so, do you only need to buy one bundle to get all the necessities for one house including the 250 pieces, and is the inside and outside houses included in the one midway estate? Just need that cleared up. so are we going to have triple everything like robes and pets just to be able to get all the castle pieces ? when you get the same gear and pets on one wizard. Seems like a waste to me. I will probably get the first one. I dont know if I can get all three just for different background. and all on one wizard to boot. I have three different wizards that I can use the gear on, Still just saying can someone plz tell KI to fix this. Its just too much to asked people to buy. Maybe like over time or something. Like buy one card a mouth or something like that. I dont know I do know I cant afford $120 all at one time thats just way too much. I do like the housing stuff thats what I do, I just did the treetop getaway and turned it into a maze, I really liked doing that one. actually has four mini mazes in it. Does the building castle plot take up a housing slot like all other Castles. Thanks, I was also wondering if furniture can be put in the castle cause all the pictures and videos i've seen don't have any furniture or decorations in the castles. Oh Yes I have a fully decorated one. Only thing is Wall paper and flooring are not available at this time. I do hear next textures will be available just not sure when. Is rug moving to better fit objects working in this new bundle? This looks really neat. I hope I can get my hands on one. I have one question, is the only difference between the Midday Estate, Meadows at Dusk and The Night Garden the default castle and the times of day? but say that you messed up and took away the block that kinda floats, how do I I get it back? I'm not sure what your asking? when I went to my night estate for the first time, there was already an item count! It was 141 out of 250. Does this mean I can only place 113 items? I am really confused now. Yes, or you can pick it up and create one that is 250 or under. You have 250 block bonus count and 250 decor count. If you go over 250 blocks yes it starts to cut into your decor count. I get a strong vibe here that KI added this bundle to get into the hype for the game Disney Infinity, where you use blocks to build your worlds. Anyway, I hate being a ranter, but I would love to get this bundle if they made the castle deal more affordable. KI needs to think more logically. What parent will buy their child not one 40$ card, but THREE, and three of the exact same ones for that matter?! Sorry, KI. I fancy myself a "bundle collector," but this is one card that I'm going to have to opt out on.